Elegant show jacket Denny designed for young riders. It is made of breathable, comfortable and moisture-draining material. 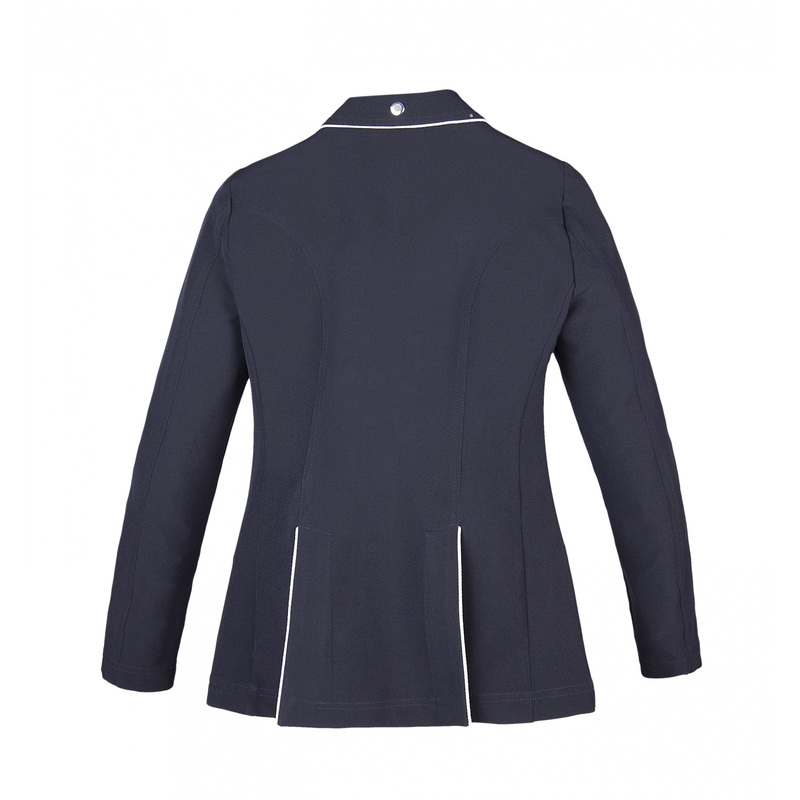 The jacket is available in two colours - black and navy blue, and each of them has white trimming on the collar, zips and by the slits at the back. There is an Equiline logo by the additional zip on the front.